Fantastic 3, 700 sq. 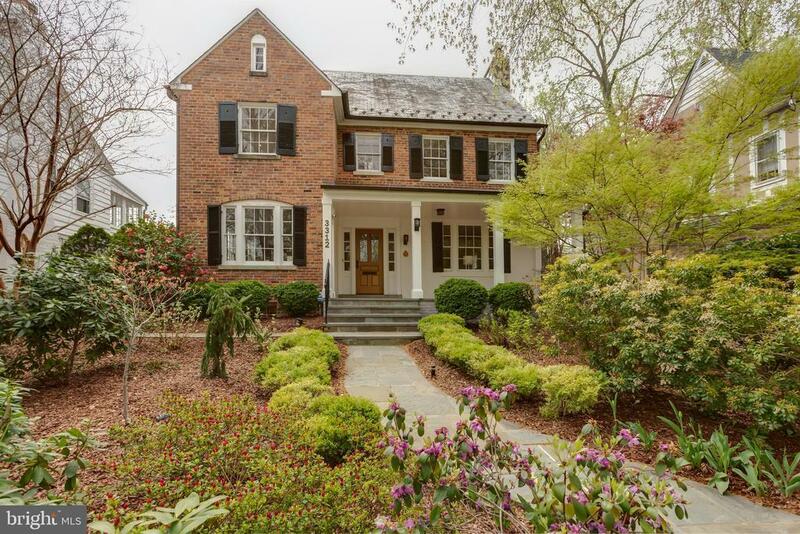 ft. (est) Cleveland Park home on elevated lot on quiet, tree-lined street. This sun drenched home has charming architectural details, gleaming wood floors, & updated baths throughout. The main level features a welcoming foyer, living room w/ fireplace, library w/ built-ins, dining room, gourmet kitchen, & powder room. The second floor has a deluxe master suite w/ large walk-in closet, Jacuzzi & shower, 2 additional bedrooms, & a full bath. The third floor includes two bedrooms and a full bath. Lastly, the lower level has a exercise/ family room, bedroom, & a full bath. A spacious rear flagstone terrace and detached 2 car garage, completes this home.